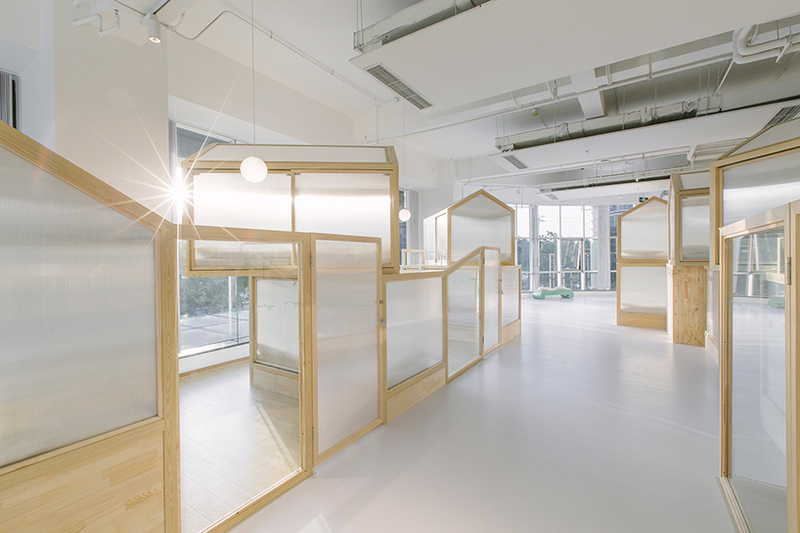 architecture in beijing encompasses projects with a wide range of contemporary styles and scales. projects include adapting traditional buildings and hutongs, to skyscrapers, and the interior design of restaurants, hotels, and private residences. 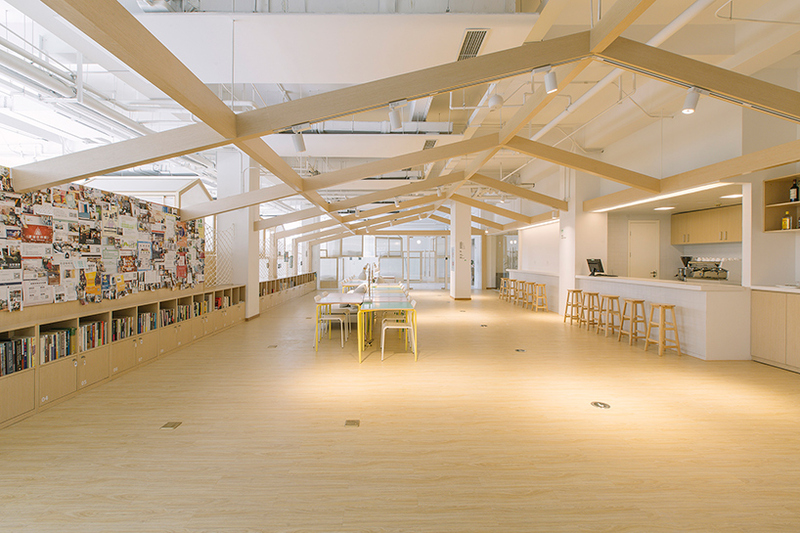 cao pu is an architecture firm based in china focused on conversion projects in the country. 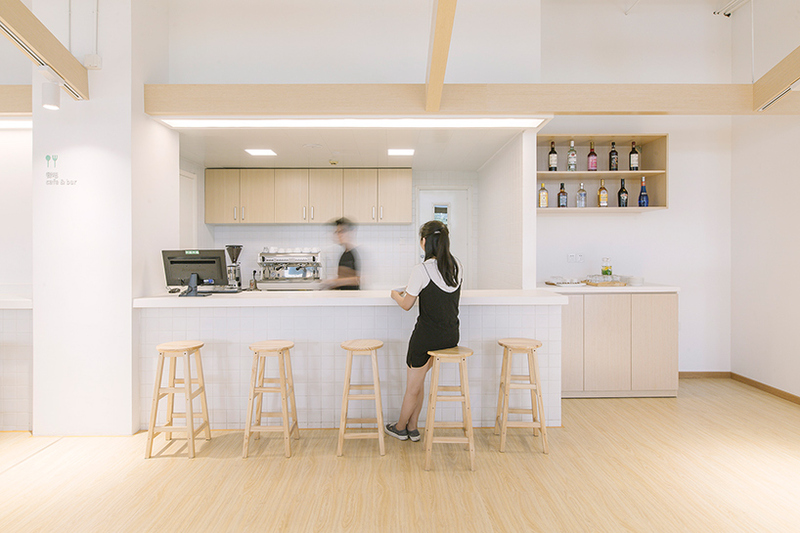 as hostel concepts become increasingly popular, this one, named ‘the together hostel’ in beijing aims to bring people in ways of new experiences and activities that generate socializing among strangers. 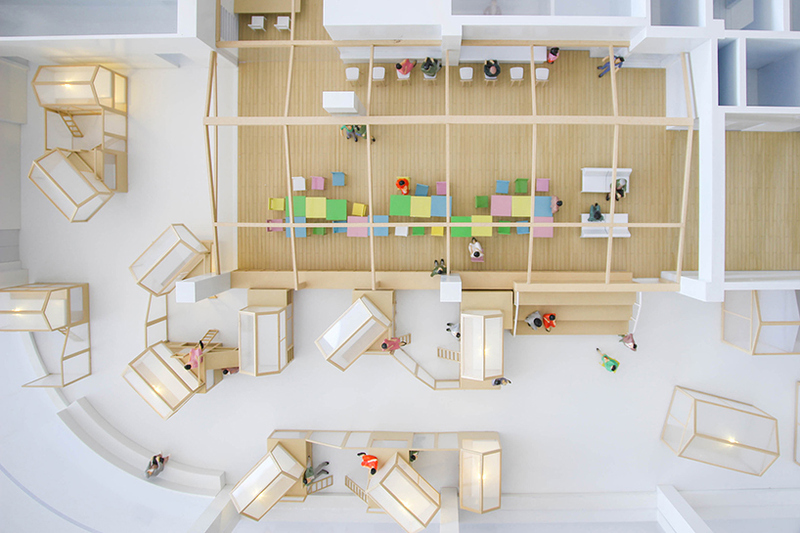 occupying a large open-plan space of a hotel building, the design by cao pu is based around the concept of music festivals. 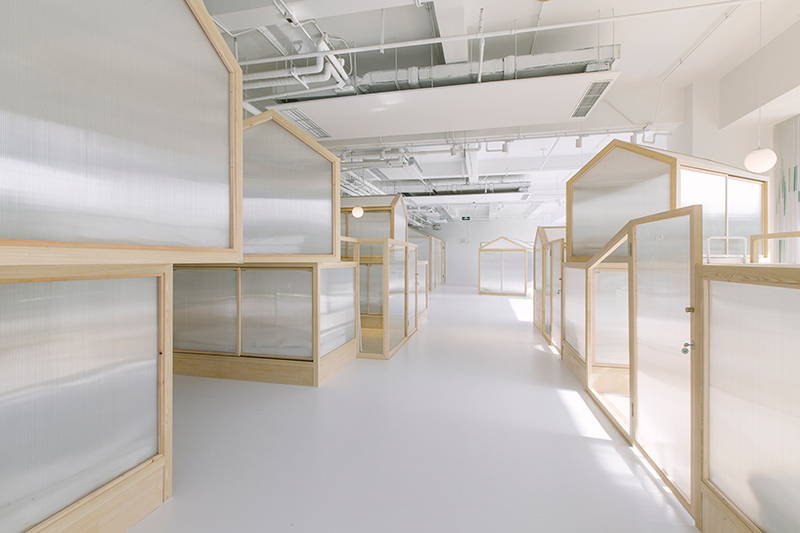 an alternative to placing living arrangements in a series of closed off rooms, tent-like structures have been distributed around the space; stacked and overlapped to create single and double rooms equipped with sockets, lights and a bed. 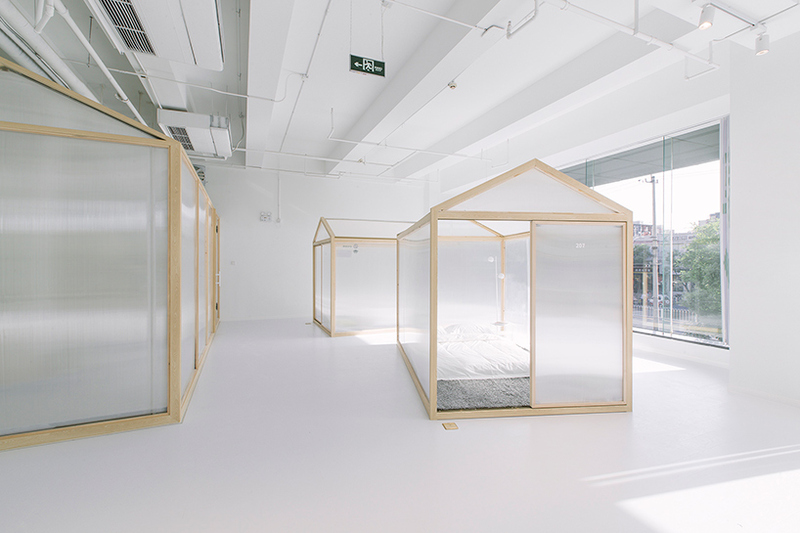 the forms of these timber-framed, polycarbonate clad tent structures have been interpreted to cater to different programs offered by the hostel including an office, a cafe bar, a kitchen and a restroom. additionally, some are grouped in a way that creates a more intimate and private zone between friends. 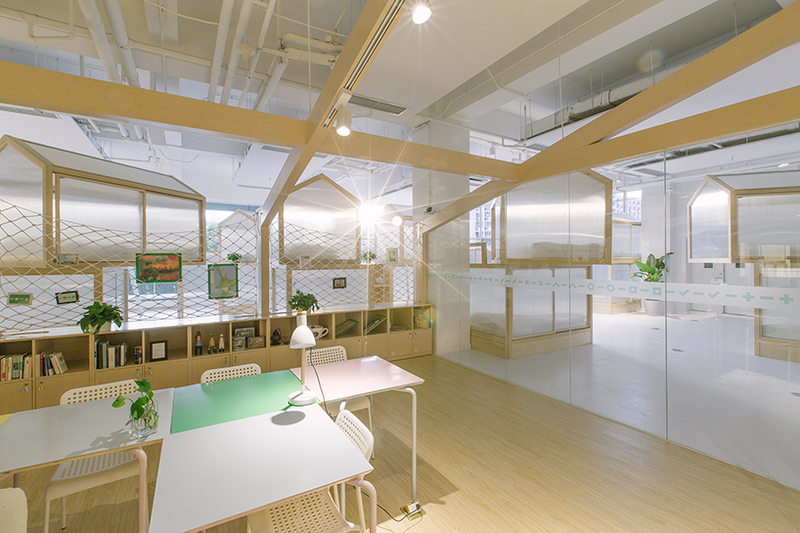 as well as the playful and familiar character cao pu created in this ‘indoor camping space’, a generous flow of natural light permeates the whole floor due to no walls. 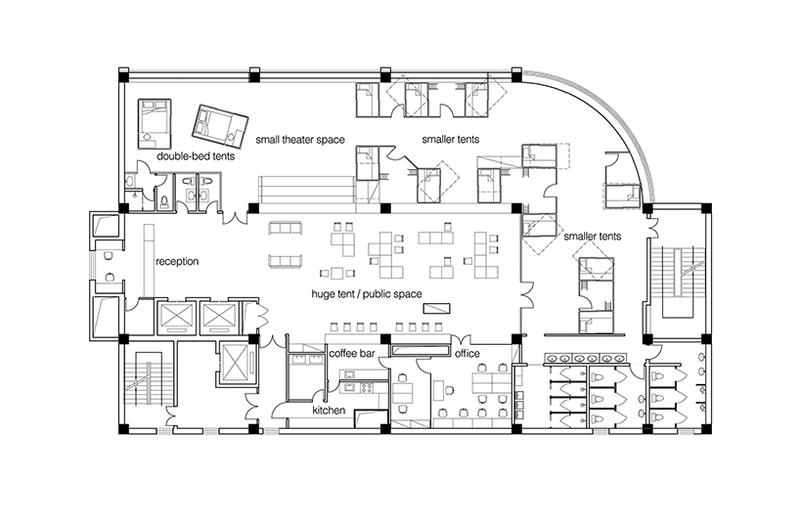 the double bed tents and single bed tents are organized on one side and separated by an impromptu, stepped theater space that can also be used as storage and bicycles.